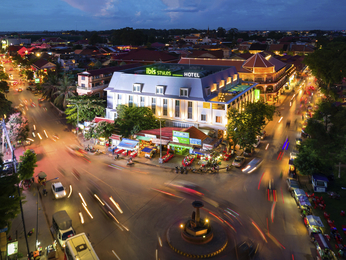 Situated along the Siem Reap River, Siem Reap is one of Cambodia's most popular tourist destinations. A gateway town to the world famous heritage temples of neighbouring Angkor, tourism has seen Siem Reap evolve from a quaint fishing village to a vibrant modern city. The town's vibrant and flourishing Colonial plus Chinese culture and customs are still evident in the Old French Quarter and Old Market. 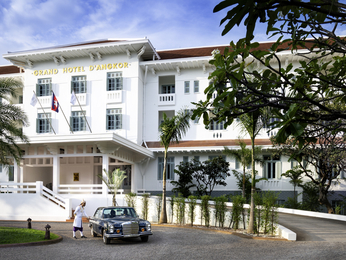 Accor Hotels in Siem Reap provide the ideal location for guests to enjoy a relaxing stay in the Khmer and French architecturally designed accommodation. 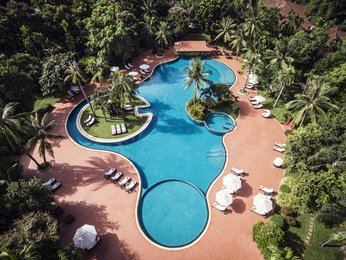 For leisure activities, Siem Reap offers a challenging world class 18-hole golf course at the Phokeethra Country Club and Cambodia's largest free form swimming pool. Siem Reap indeed is one of the most idyllic destinations for family, couples and business travellers alike.